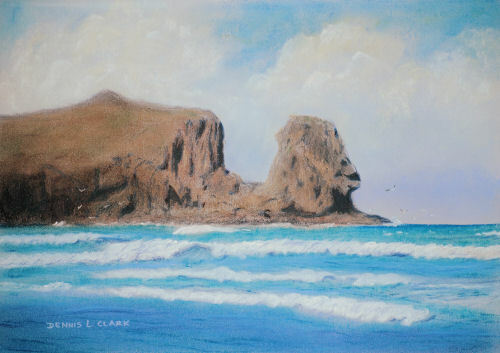 Very few seaside scene don't have rock or cliff of some sort in them. This one is no exception on the coast west of Auckland. 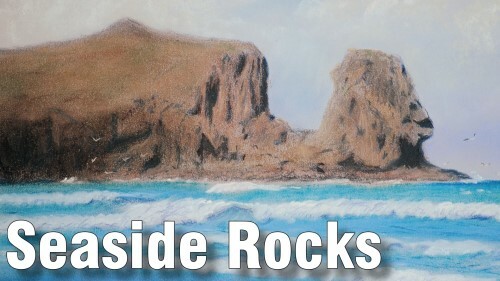 You will paint these rocks and cliffs using soft pastels.